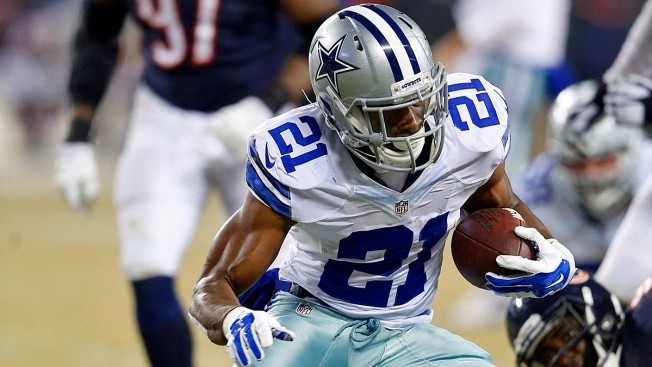 Joseph Randle's "Been Waiting for this Game for a Long Time"
Joseph Randle is all out of comments about meat and bones and how much of the former DeMarco Murray left on the latter when he was in Dallas, but he will admit he’s looking forward to Sunday’s matchup with the Eagles in Philadelphia. In Randle’s first game without Murray ahead of him on the depth chart, he went for 65 yards on 16 carries. It wasn’t really reminiscent of Murray’s record-breaking effort in 2014, but then again, neither was Murray’s performance in his first game with the Eagles. He finished with two touchdowns, but just nine yards on eight carries. But Randle isn’t keeping tabs on his former teammate.